Interior Secretary Ryan Zinke is leaving his post Jan. 2 amid multiple ethics investigations. Interior Secretary Ryan Zinke, who is departing Jan. 2 amid multiple ethics investigations, leaves a legacy of widespread attacks on science. Zinke was in charge of balancing protection of national parks, endangered species, waterways and other resources with public uses on 500 million acres of public land. Zinke set an anti-science tone early by reassigning the Interior Department’s top climate change official to a job managing fossil fuel royalties. Thirty-two other senior career employees also were reassigned last year. He suspended dozens of Bureau of Land Management resource advisory councils and reconvened them with new responsibilities to expedite oil and gas permitting and meet other Trump administration priorities. He filled a national parks advisory committee with big donors and businesspeople. He appointed former lobbyists to key jobs, including Deputy Secretary David Bernhardt, who is a former oil company lobbyist. Under Zinke, the Bureau of Land Management put countless archaeological sites at risk by auctioning off oil and gas leases in southeast Utah. Zinke expedited lease sales to oil companies that encompassed tens of thousands of acres near two national monuments in Utah. Also, by crafting a new legal opinion, the Interior Department’s solicitor’s office erased a policy that had been used by Republicans and Democrats since the Nixon administration to protect migratory birds. Zinke’s top lawyer declared that it’s no longer illegal for companies to accidentally kill birds with oil wastewater ponds, wind turbines and other industrial practices. Every mention of the human role in causing climate change was removed from a draft of a major National Park Service scientific report on sea-level rise and storm surge. The references were reinserted after Reveal exposed the attempted censorship. But the data and an interactive website that were supposed to be made public still have been blocked from release. A small New England national park, the New Bedford Whaling National Historical Park, was told that mentioning climate change would raise eyebrows with the new administration. So the park’s managers removed every mention from a major report meant to guide park leaders’ decisions for decades. Interior Department officials directed the National Park Service to cancel a policy that required science-based decisionmaking. Many of Zinke’s attacks on science benefit fossil fuel industries. But real estate developers and mining companies are reaping benefits, too. For instance, with Zinke in charge, the U.S. Fish and Wildlife Service reversed itself and retracted concerns about a city-sized housing project in Arizona that scientists say could turn the Southwest’s last free-flowing major river into an intermittent stream. Columbia University Law School’s Silencing Science Tracker lists 34 examples of science being censored, defunded or hindered under Zinke. 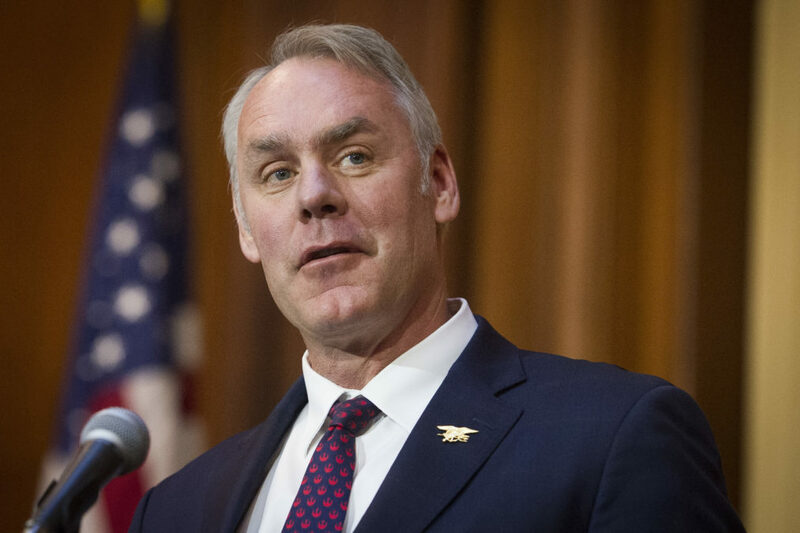 U.S. Geological Survey scientists who want to attend scientific conferences were required to demonstrate how their research relates to Zinke’s 10 priorities, according to guidelines first reported by The Washington Post.